With more than three decades of experience, CP Solutions, Inc.® specializes in corrosion control engineering and consultation services for municipal, industrial and commercial infrastructure. 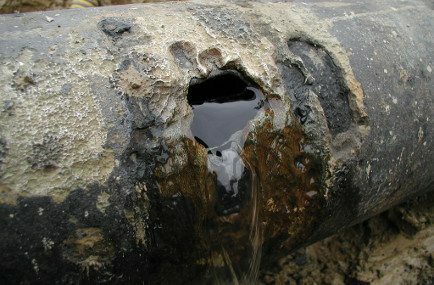 Cathodic protection (CP) is a technique for corrosion protection using electrochemical means, minimizing the anodic dissolution of a metallic structure. This is done by reducing the electrical potential energy difference between the anodic and cathodic sites on the surface of a metal when it is placed into a conductive electrolyte, which could be either soil, water, or even concrete. In theory, CP is achieved when the open-circuit potential of the cathodic sites are polarized to the open-circuit potentials of the anodic sites. The goal is to make the entire structure a cathode (current receiver) relative to an expendable or replaceable anode (current provider). The National Association of Corrosion Engineers® (NACE International®) has established specific criteria for metals placed into a variety of electrolytes. A competent corrosion engineer must keep these CP criteria in mind when deciding what level of cathodic protection to apply to a metallic structure. 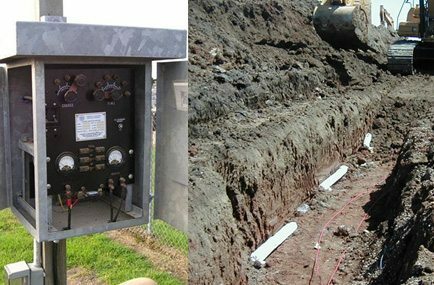 While there are many geometric variations on how a cathodic protection system can be installed, there are just two basic methods of applying cathodic protection. The first method is commonly called sacrificial anode cathodic protection and uses galvanic anodes to deliver smaller amounts of DC current to the structure. The second method is called impressed current cathodic protection and uses a rectifier-transformer to deliver larger amounts of DC current to the structure. By installing cathodic protection as a good engineering practice, an infrastructure owner will reduce its operating costs to due corrosion failures, control product losses, and minimize downtime due to non-scheduled repairs and/or emergency structure replacements. A properly-maintained cathodic protection system will extend the infrastructure's effective service life, mitigate environmental damages, and increase the owner's operational security. 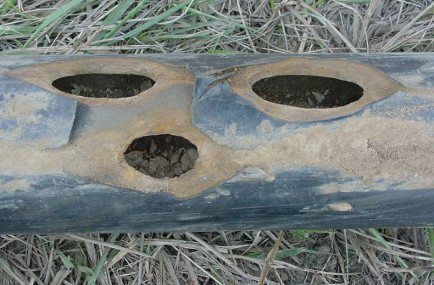 Implementing an engineered corrosion protection program through the application of cathodic protection commonly saves between $5–$10 for every $1 spent. Jeff Schramuk, Owner and President of CP Solutions, Inc.®, is committed to providing each of his customers personal attention, high quality services, and attention to detail without product or material bias. Most projects are earned through prior customer referrals and professional references.